99% problems, for sure. Here’s the thing: the Occupy movements aren’t really against capitalism, but rather the greed of certain businesses, and laws that don’t penalize companies who control large amounts of money the same way that people who control relativelyÂ minusculeÂ amounts of money are penalized should they not handle their money properly. And likely a few other things as well, but that seems to be the message in a nutshell. 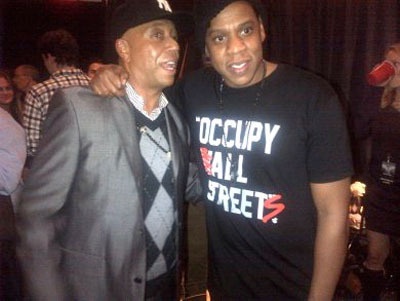 So it’s not so much that Jay-Z and Rocawear are making money on the shirts, which co-opt the message, but the fact that none of it goes to support the Â movement itself seems to fall onto the whole greed side of things. He once said “I’m not a businessman, I’m a business, man,” so we don’t knock the hustle in heading the company smart enough to capitalize on a trend, but as someone who’s now a pretty respected businessman, Jay-Z might find dividing the pie on this one to be a better business move.